The tna intelli-flav OMS 5, on-machine seasoning (OMS) system will be displayed at Snaxpo 2015, from March 28 to 31. The tna’s global team will also demonstrate how its automation and controls capabilities can support manufacturers in design, installation and integration to maximize productivity and maintain snack food safety, quality and traceability. Fully integrated with both oil spray and flavor injection systems, the system offers consistent coverage and flavor for both wet and dry seasoning. The system has a responsive variable mass seasoning system with dynamic vibratory weigher to directly control oil spray and powder flow into the drum. This enables an accurate, proportional amount of seasoning to be evenly applied to the product for improved coverage and flavor dispersion. More performance benefits are realized through the enhanced position of the scarf plate on the tna intelli-flav OMS 5 infeed. Mounted to the edge of the drum, the scarf better directs the product into the spraying and flavoring area, providing high quality seasoning performance. 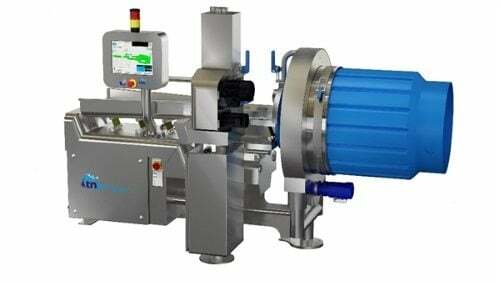 Additionally, the newly designed scalloped infeed conveyor allows more product to enter the seasoning drum, while also helping to control product direction for greater accuracy and reduced waste. At the show, the company will showcase FOODesign’s fryers and cookers for applications including bakery, confectionery and snack foods. tna will also highlight its system control and integration expertise. The team will demonstrate the benefits of control systems, such as programmable logic controllers and supervisory control and data acquisition. These systems are easily integrated into existing production lines giving plant operators the ability to target specific areas where inefficiencies are most prevalent. This ensures that each element of the production line works in harmony with each other, resulting in a fully optimized and seamless operation.